Cologne Area, Germany, Oct 12 2018 (IPS) - Do you believe in God, Allah, Elohim, or do you think that religion is “the opium of the people” as Karl Marx called it in his work “A Contribution to the Critique of Hegel’s Philosophy of Right”? Either way, whatever religion you belong to, believe in, practice or do not practice, it is always your personal choice. To be precise: it is a human right. At the end of July 2018, I had the honour of being invited to the first “Ministerial to Advance Religious Freedom”, held at the US State Department in Washington. The motivation for holding the meeting was that the ideal of religious freedom is felt to be under increasing attack in many countries. Roughly 80 percent of the world’s population experience severe limitations of this right, in the form of persecution, repression or discrimination. Defending this fundamental right was the clear focus of the conference, which was attended by more than 80 nations. In a press release prior to the Conference, State Secretary Mike Pompeo even stated that he sees a deep connection between religious freedom as a fundamental human right and economic benefits for countries that respect religious freedom. The ideal of religious freedom is felt to be under increasing attack in many countries. Roughly 80 percent of the world’s population experience severe limitations of this right, in the form of persecution, repression or discrimination. Why was it such an honour for me to be there? There were two reasons. Firstly, I was there to accompany and assist Germany’s new Commissioner for Global Freedom of Religion, Markus Gruebel, who only took on the post in April 2018. In my daily work, it is my duty to protect and advocate for human rights. Secondly, in my private life, I am an elected Protestant church elder in my village. So the “two hearts” beating in my chest were most excited about this business trip. 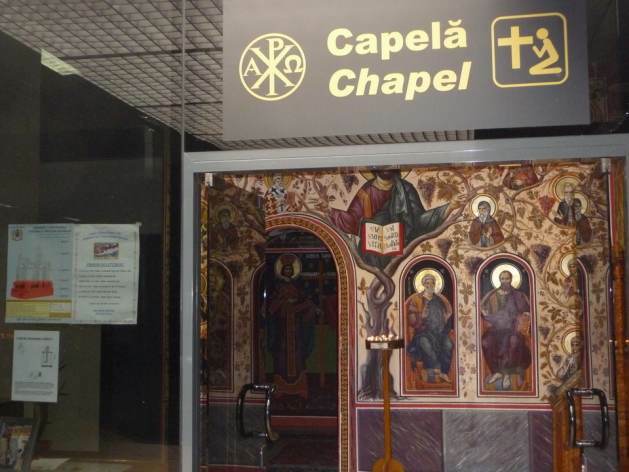 Arriving early in the morning at Frankfurt Airport, I had planned to start my journey by visiting the prayer room. However, when checking in, my ticket showed the sign “SSSS”, singling me out for stringent screening by the US immigration authorities. A sign? What did it mean? This way, I started my sincere prayers even earlier than I had originally planned, before I had even got through security. For your information, I passed through without any problems – Hallelujah! The next two days at the conference in Washington were full of speeches by high-ranking officials, official meetings, receptions, luncheons and fruitful conversations. The closing session took place at the famous Holocaust Museum, granting the stage to a 1941-born survivor of the Budapest Ghetto. You can read about these official parts of the conference in press releases. What is worth sharing from my point of view is how impressive the interventions of many nations were, showcasing their commitment to religious freedom in their countries. And, above all, fascinating and fruitful conversations took place between the representatives of various religions – Rabbis, Sikhs, Muslims, Christians, survivors of religious minority groups who are currently threatened, like the Yazidis and the Uyghurs. All this helped to promote interfaith dialogue. Despite participants coming from different cultural and religious backgrounds, a strong sense of common ground could be observed, a spirit of deep understanding that most humans have a need to practice a religion and acknowledgement that there is much more that unites us than divides us. Tolerance and respect for others, irrespective of religion or belief, is the way forward. Pursuing one’s faith can be a great force for action, always within the limits of doing no harm to others and not violating their rights and freedoms. This means that we have to find a way to listen and talk to each other – taking all nations on board. I see building bridges as our joint task, today, tomorrow and next week – as women and men, everywhere. I do admit: I am a believer, as were many of the other participants and as are many people worldwide. However, belief remains a most private choice. What is fundamental is that we are all human beings and should be accorded the same dignity of freedom of thought, conscience and religion. Respecting human rights is the duty of all governments – on all continents and in all regions. It is worth bearing in mind that the 2030 Agenda for Sustainable Development, signed in 2015 in New York, also puts the dignity of each individual at the core of its extremely important text. For me personally, a German female Protestant, I feel empowered by my religion and by being free to practice it – every day and everywhere. And I am most thankful for it. Hallelujah!